I would like to receive occasional information and updates from Christmas 2017 - St. Mary's Pre-school Marlow Bottom and jumblebee. Bidding is now open for our Christmas Silent Auction! This online auction will close on 7th December. Items can be viewed in person at Marlow's Late Night Shopping event on 7th December and we will also be displaying all the lots at St. Mary's Pre-school at John Johnny's Neon Christmas Disco on 1st December; hopefully many of you will be there. Payment for prizes can be made by card via this page. An email will be sent to successful bidders with payment instructions. 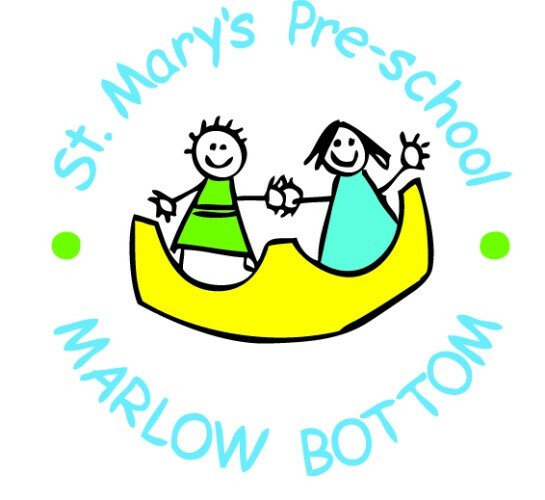 Thank you to all our donors, and thank you for supporting St. Mary's Pre-school. Happy bidding and good luck! 4 weeks tuition for a boy or girl in Tap, Ballet, Acrobatics and Jazz at a branch of JG Dance. Jeannine Greville has been established in the Thames Valley for over 50 years, with many thousands of children passing through the doors. Many enrol for a few years, but others are enjoying very successful careers in the West-End, on television, with The Royal Ballet Company, Royal Shakespeare Company, and annually in Pantomime. A former pupil was nominated for a prestigious BAFTA award. "We hold classes in nine venues, introducing girls and boys between the ages of two and a half and eighteen years to Ballet, Modern Jazz, Tap, National Dance, and Acrobatics. 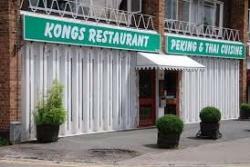 We also offer Drama, Singing, and Street Jazz in some venues. We have a Theatre College for those children who show outstanding potential, where the training is more specialised. It is held all day on Saturday, and entry is by twice yearly audition. At our weekly classes we welcome beginners, who are taught in friendly groups by qualified, experienced and very caring teachers, many of whom are former pupils, who give individual attention to each child. Shy children develop confidence, and extroverts have their energies channelled into a disciplined art. We are most fortunate to be affiliated to a well established Theatrical Agency based at the world famous Pinewood Studios. This gives pupils the opportunity to gain professional work on television and film. If your child is hoping for a career in show business, this could be a wonderful opportunity for them. " 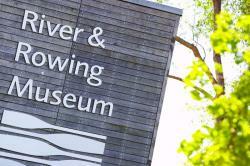 A family pass for 2 adults and 2 children for 12 months to the River & Rowing Museum at Henley. There is a full programme of exhibitions and events, with the Wind In The Willows permanent display, a cafe, gift shop and car parking. RRM is a great destination for a family day out. This season's shirt, signed by whole team, captained by Nedum Onuoha. A must for any QPR fan. A voucher for a jumper of your choice of size and colour to the value of £150. That was the goal when Nick Falkingham and Adam Holdsworth founded Pure Collection fifteen years ago and it remains at the heart of what we do today. Shopping with us is easy. Our boutiques offer the opportunity to browse in a tranquil shopping environment and meet our style advisors who will help create your perfect look from our new collection. 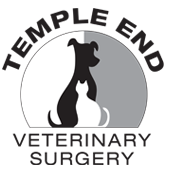 A voucher for a Health Check and Booster Vaccination for a cat or dog from Temple End Vets. “Now in it’s 8th year, PennFest’s line up for 2018 promises to be the best ever, with bigger names than ever before performing throughout the weekend of Friday 20th and Saturday 21st July. And here’s your chance to grab four VIP Tickets for the whole weekend..! The VIP tickets will get you access to an exclusive comfy, undercover, chill out zone, VIP garden with seating, exclusive VIP bar selling quality brands, plus the all important VIP luxury loos – essential at any festival! Your tickets will include not only entrance to the festival on the Friday AND the Saturday, but also a complimentary meal and welcome drink. PennFest…love live music. What’s not to love?! Tony Hadley, Kim Wilde, Nik Kershaw, Go West, Nick Heyward, T’Pau are all confirmed to appear as are guests Katrina, Jona Lewie, Rick Parfitt Jnr, Jaki Graham, Tony Mortimer (ex-East 17) and Brother Beyond. Pat Sharp will host proceedings, as well as perform on the night, in what promises to be the perfect evening of non-stop hits from some of the world’s biggest selling and best loved artists. 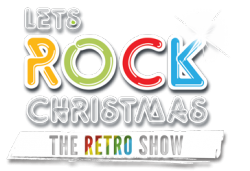 Let’s Rock Christmas promises to be the perfect way to get into the spirit of the season. You wouldn’t want to miss it! 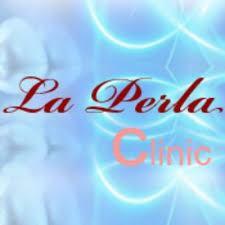 Utilizing the healing powers of water and oxygen to achieve smoother, more hydrated and healthier skin, La Perla Clinic in Marlow, are proud to be the first in the UK to launch the Jet Peel Hydro-Dermabrasion system. It works by using a highly pressurized oxygen jet to accelerate sterilized water at a supersonic rate, through a hand held fine nozzle. It is sure to give you the best skin exfoliation and skin plumping you have ever had and most importantly it is chemical and crystal free. Entry for 2 adults and 2 children to Odds Farm Park. Whatever the season and whatever the weather, you'll always find stacks of animal fun, indoor play & outdoor adventure at Odds Farm Park A great day out for all the family. 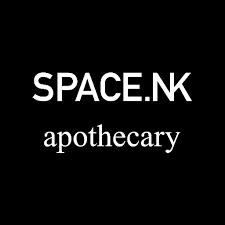 A pamper evening at Space NK Marlow for 10 customers including champagne, makeovers, facials and a goody bag! Private shopping, champagne and canapés plus make up and beauty experts on hand for tips and tricks. This is your chance to learn how to get those "smoky eyes" whilst having fun with friends. 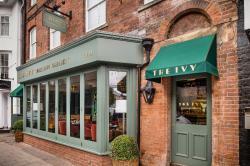 "Relaxed yet sophisticated dining in the heart of Marlow, Buckinghamshire. " Champagne afternoon tea at this new, luxury restaurant, valid for 6 months. Razzamataz Theatre Schools was established in 2000 and offers exceptional training in dance, drama and singing together with exciting opportunities to perform. Musical theatre and drama is complimented by pop singing and authentic street dance. Razzamataz achieved national recognition in 2007 after a memorable appearance on BBC’s Dragons’ Den, winning the investment from Duncan Bannatyne, who remains a committed partner supporting all new Razzamataz ventures. Razzamataz Marlow is proud to put the welfare of its students at the heart of everything it does. From providing affordable part-time performing arts training for children and young people throughout the UK, to giving them access to some of the most talented performers through specialist workshops and classes, Razzamataz Marlow uses theatre arts within small class sizes to nurture a child’s confidence and self-esteem, all while making sure they are having a lot of fun. Initial and follow-up treatment sessions (usually £101) at Hands On Health, Marlow Bottom. Jane Kaushal founded Hands on Health in 2008 in Marlow Bottom to provide relief from your aches and pains, whether they are in your back, neck or any other part of your musculoskeletal system. You will leave with a plan, putting you back in control of your symptoms, instead of your pain controlling you. One month's membership at The Fitness Experts, High Wycombe (Cressex) worth £69. More Effective Than The Boring Gyms In High Wycombe! 10 litres of paint in your chosen colour from the Fired Earth collection, from the Marlow showroom. This is a fantastic prize, for example, 4 tins of 2.5 litres matt emulsion are worth around £120. The quality and colour range of Fired Earth paint is exceptional and can transform your DIY project. The winner has 1 year from the date on the letter to use their voucher.